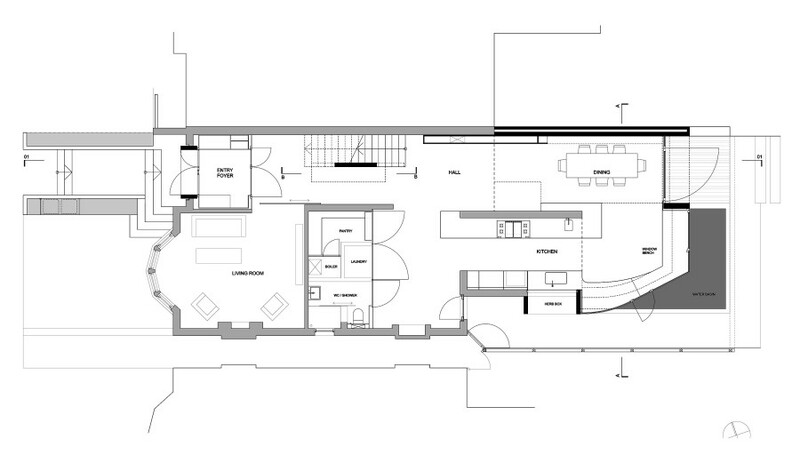 The design carves out areas of the building to create a series of spaces focusing on daylight and views. 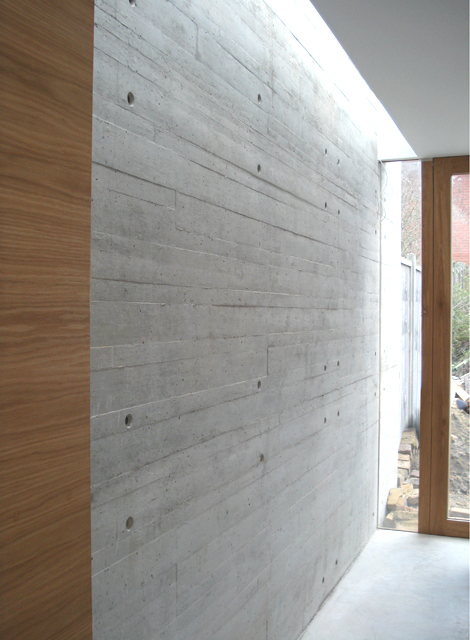 Most of the new elements are being cast in exposed structural concrete or made from solid oak. 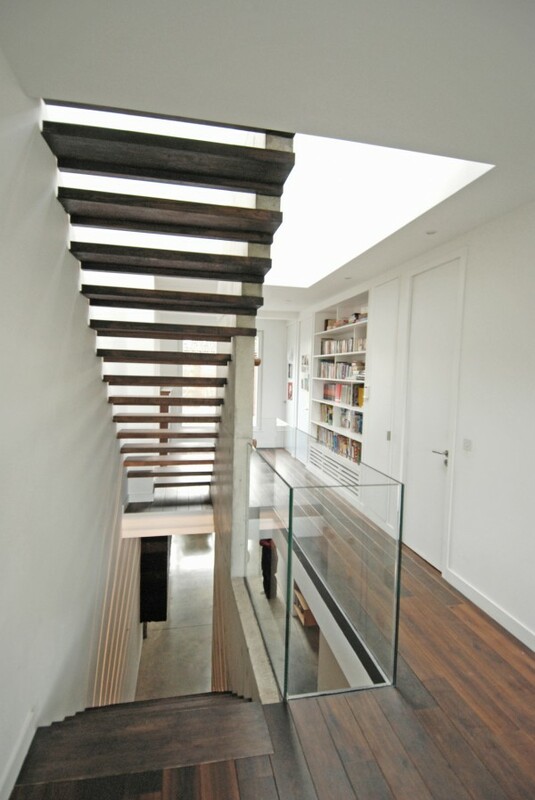 A large light well is built to form the new core of the house. 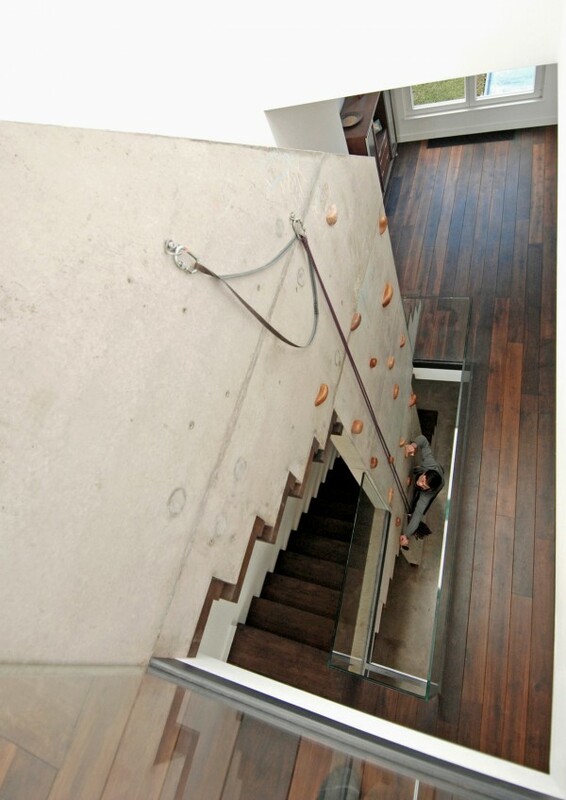 Within it a 7m high freestanding concrete blade wall carries an open tread oak stair on one side and on the other side about a hundred of threaded sockets cast in the concrete for making a climbing wall. 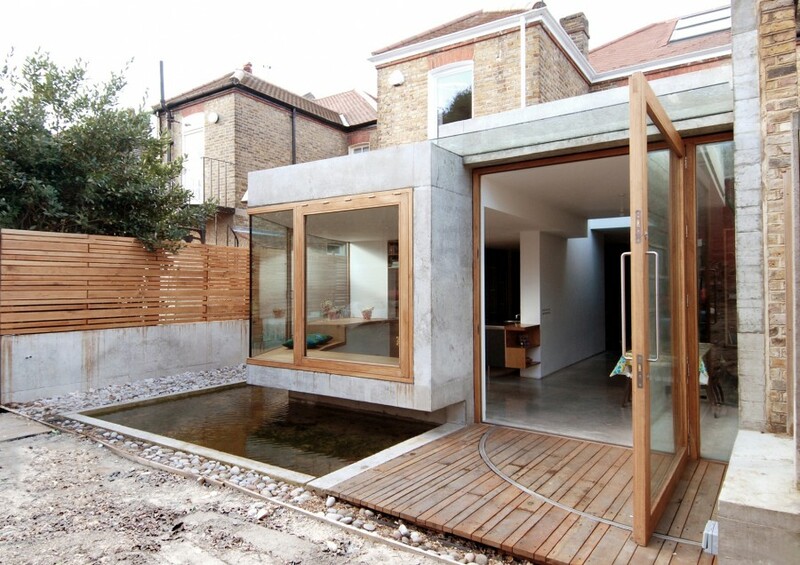 The rear extension is a simple composition of two exposed concrete volumes covered with a sedum green roof. 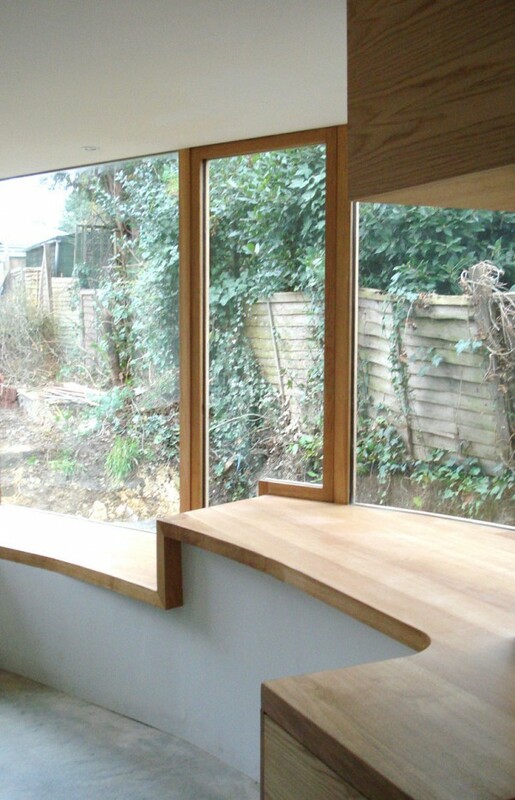 The lower volume extends the kitchen area as a cantilevered, curved and stepped window bay with a wrapping timber bench/worktop along the inside. 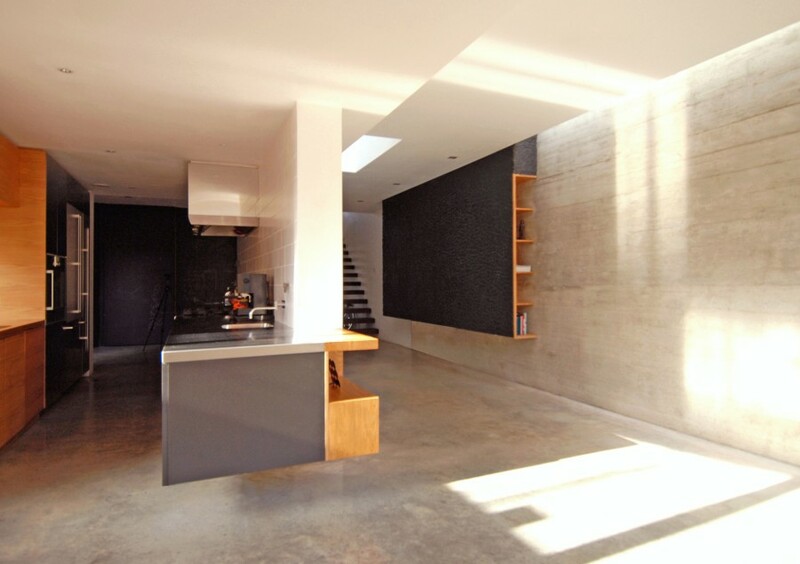 It is a place for cooking, lounging and playing. 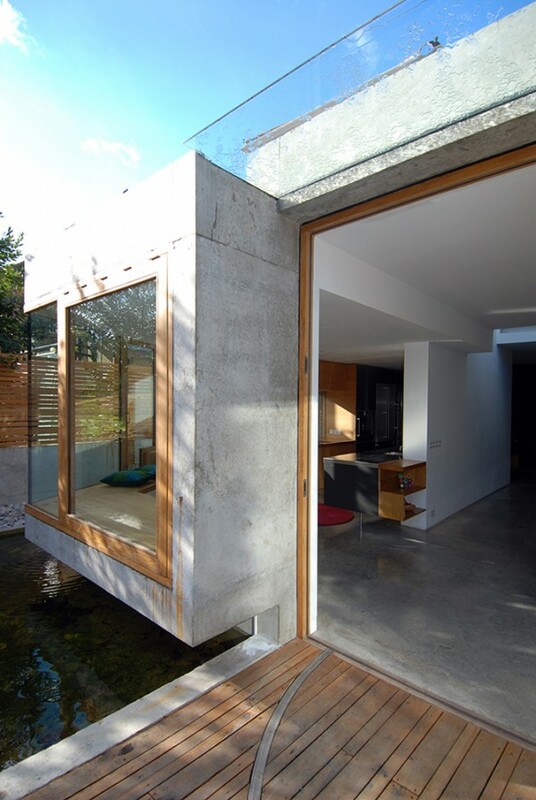 Its form is the result of maximizing the orientation for morning sunlight. 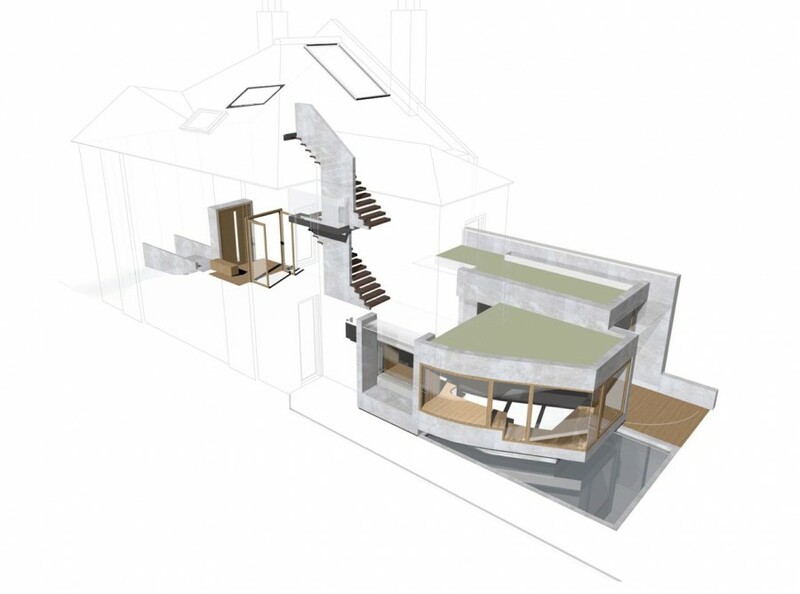 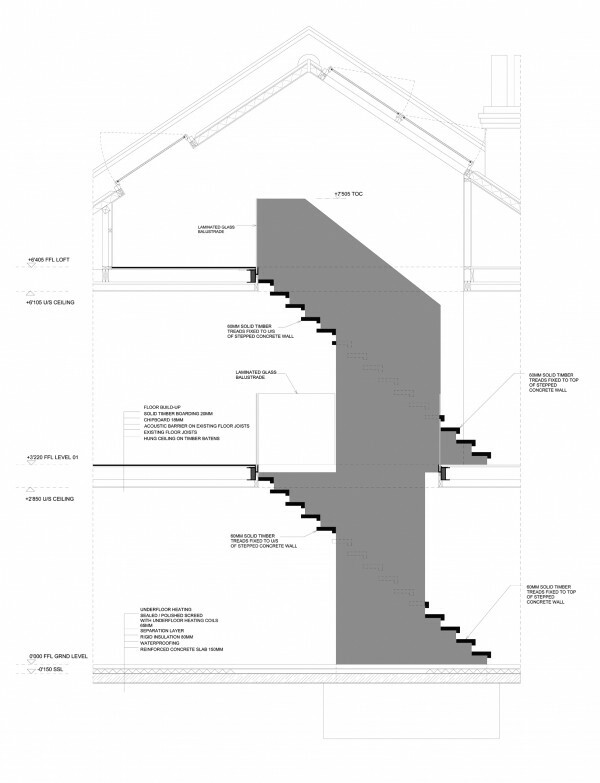 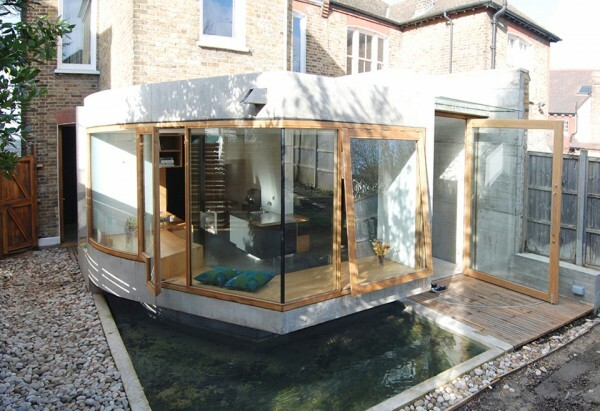 The volume hovers above a shallow framed pond which is filled by rainwater draining off the rear section of the house. 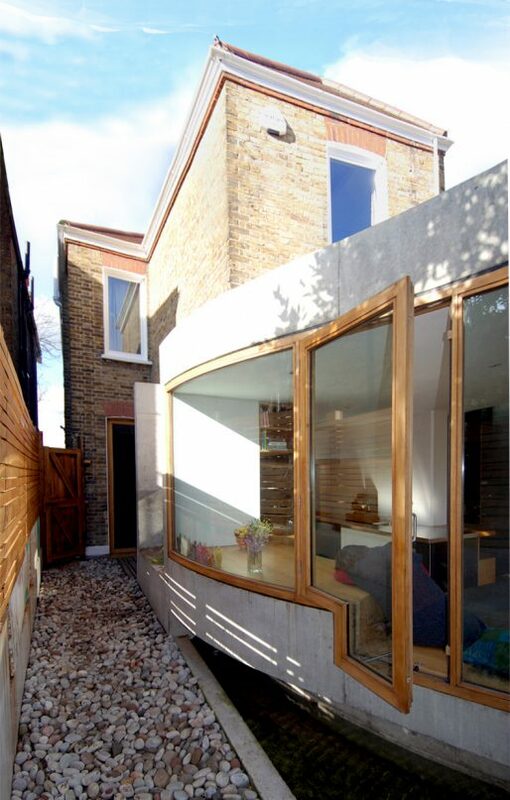 The other volume of the extension enlarges the common open space and defines the dining area. 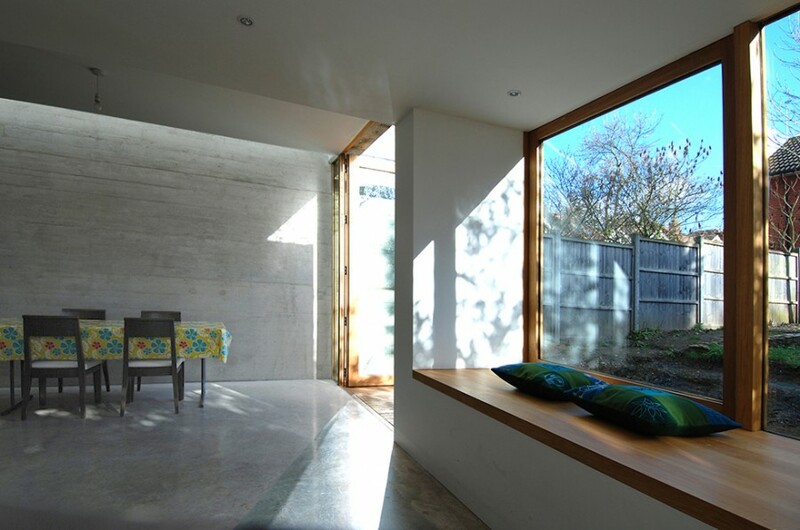 A massive timber framed door swings open into the rear garden. 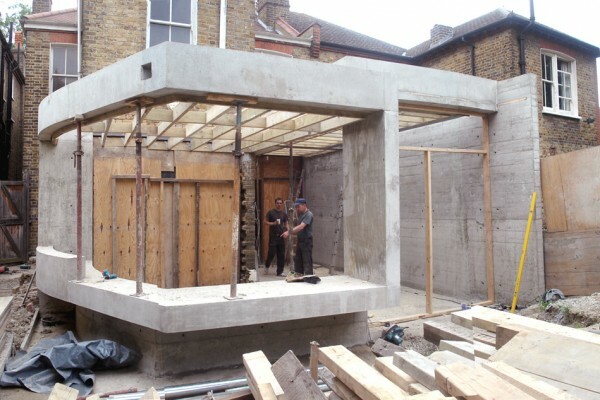 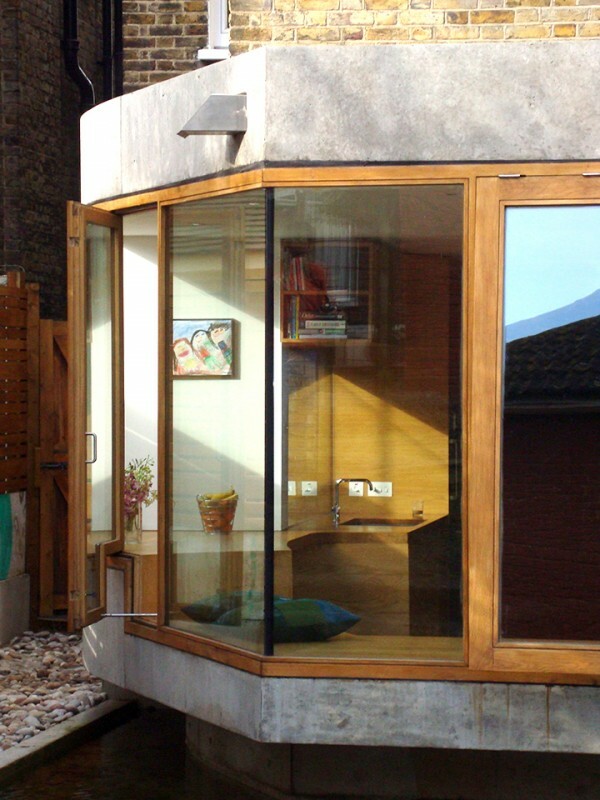 Ruskin Park House was awarded ‘Best Use of Concrete’ in the ‘Don’t Move, Improve’ competition organised by New London Architecture and sponsored by Time Out and Elle Decoration magazines in 2009.